With the passage of time, our teeth lose their natural shine and whiteness. Apart from ageing, injuries and diet can also lead to dull and yellow teeth. But thanks to the latest dental procedures as well as take home teeth whitening products, now you can easily restore the shiny, pearly white smile. 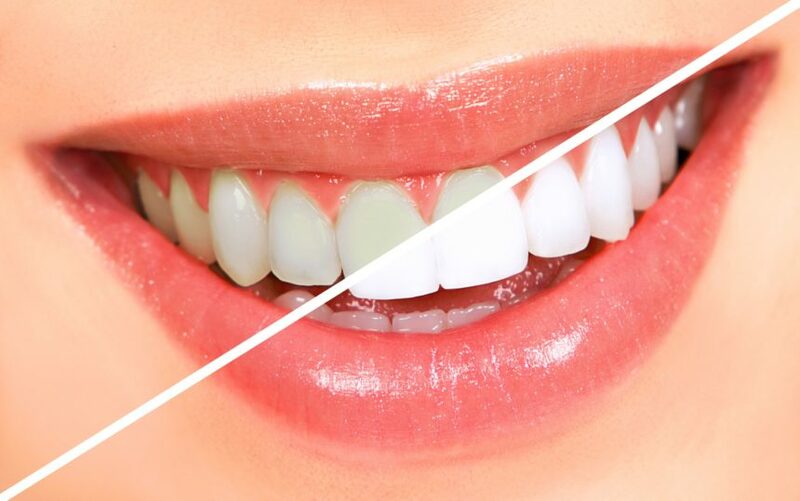 Teeth whitening is a process that brings back the healthy, natural colour of teeth of the earlier stained or discolored, pale and yellow colored teeth. The various products used for the procedure include mouthwash, toothpaste, whitening strips, trays, whitening pens and a complete dental procedure. Certain patients complain of enhanced sensitivity after the whitening procedure. That’s why there are some follow up tips and precautions that should be followed to avoid any kind of sensitivity. Use a sensitivity toothpaste – Use a sensitivity toothpaste as they contain essential ingredients that relieve the pain and sensitivity. Chew gum – Chew a few pieces of low calorie, low sugar gum as chewing gums release more saliva. Moreover, the act of chewing distracts brain from the feeling of pain and sensitivity. Avoid whitening for a while – Don’t use whitening products on a regular basis as they can weaken the enamel.